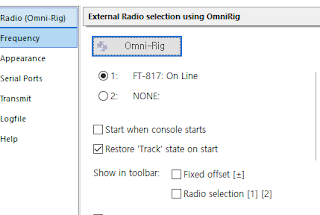 In addition to CEC Firmware, any firmware can connect SDR in the following way. 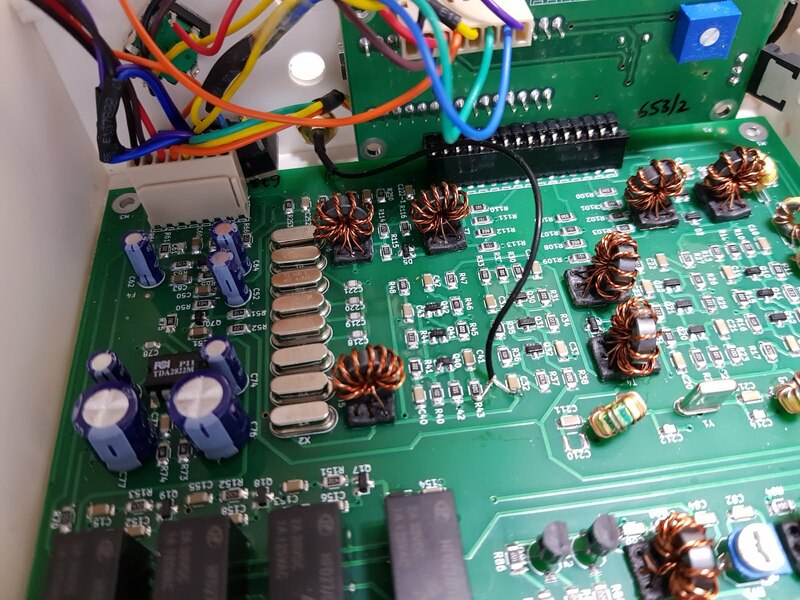 If you are not using CEC Firmware version 1.070 or later, you need to modify the source code a little bit because RTL-SDR can only receive more than 24Mhz. Also, there are a lot of better ways than I explain. I think that hardware experts will find ways to improve even more. For example, using Latch Relay to control SDR connections, RTL-SDR to connect impedance, etc. 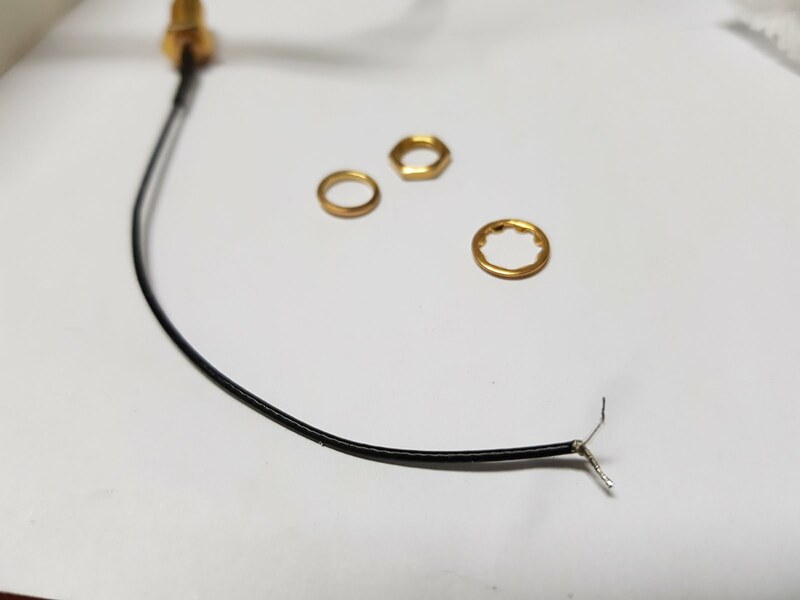 The current source structure is constantly changing to support various LCDs. After the LCD type to support is selected, we will organize the source file structure and distribute it. If you are going to connect SDR directly to uBITX, this is not necessary. The schematic of ubitx can be downloaded below. I connected the SDR to the bottom. 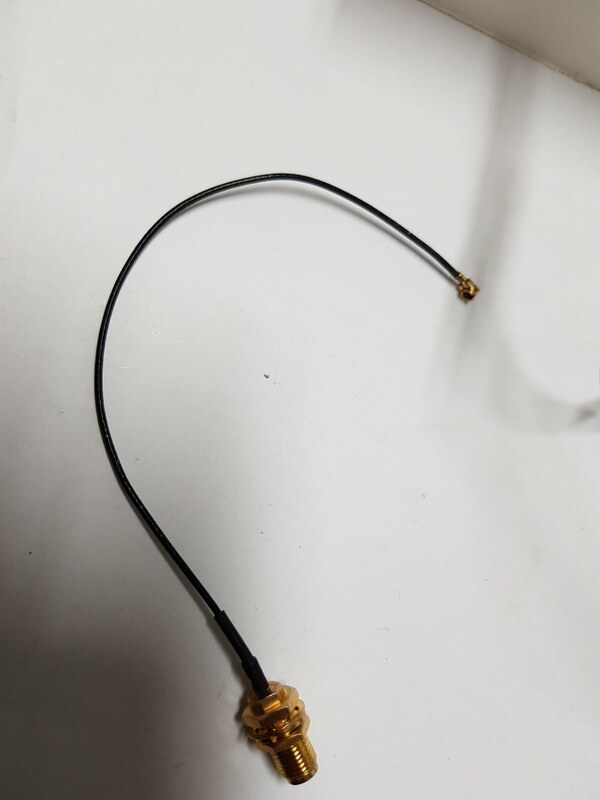 As you can see in the picture, that part is convenient to connect. 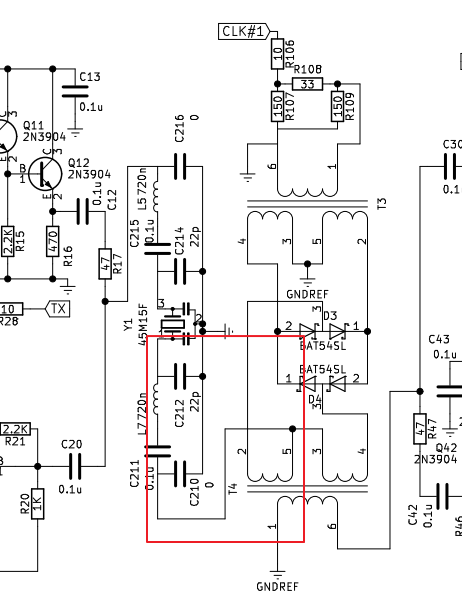 I will write about why I chose that part (the front of the 12Mhz filter) at the end of this document. In particular, do you see a blank space next to it? I will put a relay on that space later. But SDR performance is better than I thought. So maybe I can continue to use it as it is now. 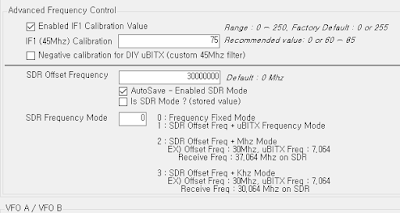 If you SDR built in uBITX or connected the SDR antenna directly to the uBITX, the following operation is not necessary. It's a really simple work. This is where you enter the base frequency to transmit to SDR. 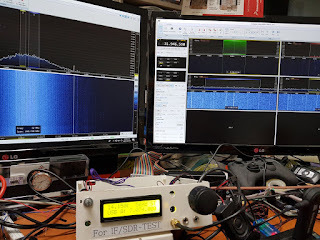 (Again, SDR connections do not necessarily have to use my firmware. Since I can receive more than 24Mhz for RTL-SDR, I entered 30Mhz here. This depends on your radio condition and the type of SDR you have. 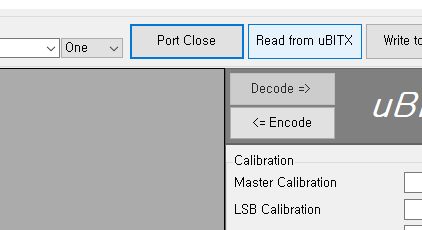 In CEC firmware, uBITX should either send sound to the speaker, send it to SDR, or choose either one. In SDR mode, no sound is output from the speakers. In order to prevent misunderstandings, uBITX always operates in speaker mode when it is bootup. However, if you have a very good SDR mode like me, you may want to keep in SDR mode until you switch to speaker mode through the menu. 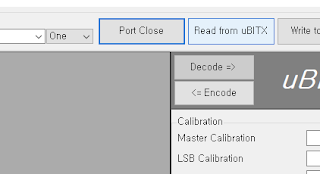 If you check this menu, SDR Mode will not be automatically released even if uBITX is rebooted. 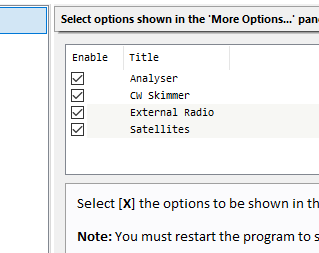 I checked this option because SDR Mode and Speaker Mode can be switched at any time by menu. This part is too complicated. 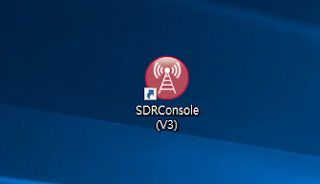 I had to make a few options for most SDR software on Windows and Linux. I will post an optimal connection with SDR Sharp, Linux, and Raspberry based SDR. 0 is transmitted at a fixed frequency. 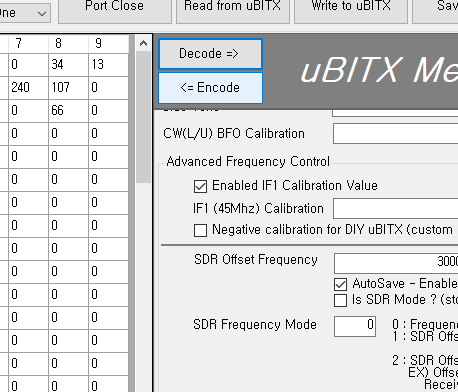 1.The frequency entered above + uBITX is connected to SDR at the frequency shown on the LCD window. For example, if the offset frequency is 30.000000 Mhz and the frequency displayed on the uBITX LCD window is 7.074000, it will be received at SDR of 37.074000. 2.SDR Offset Frequency + Mhz unit. 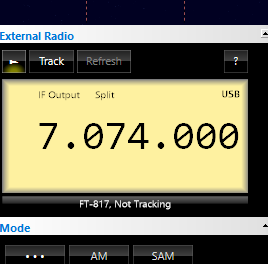 If Offset frequency is 30.000000Mhz and uBITX LCD display 7.074000Mhz, SDR will be received at 37.074000Mhz. 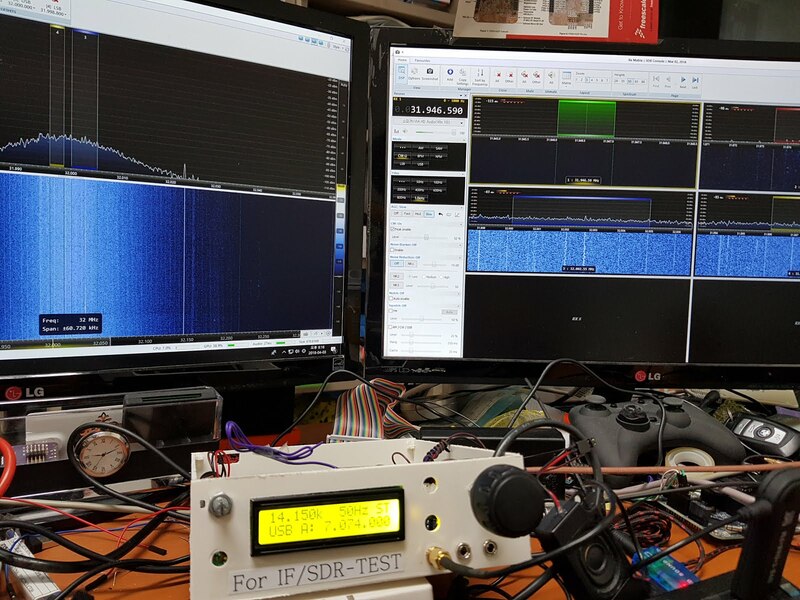 If Offset frequency is 30.000000Mhz and uBITX LCD display 14.074000Mhz, SDR will be received at 34.074000Mhz. If Offset frequency is 30.000000Mhz and uBITX LCD display 21.074000Mhz, SDR will be received at 31.074000Mhz. 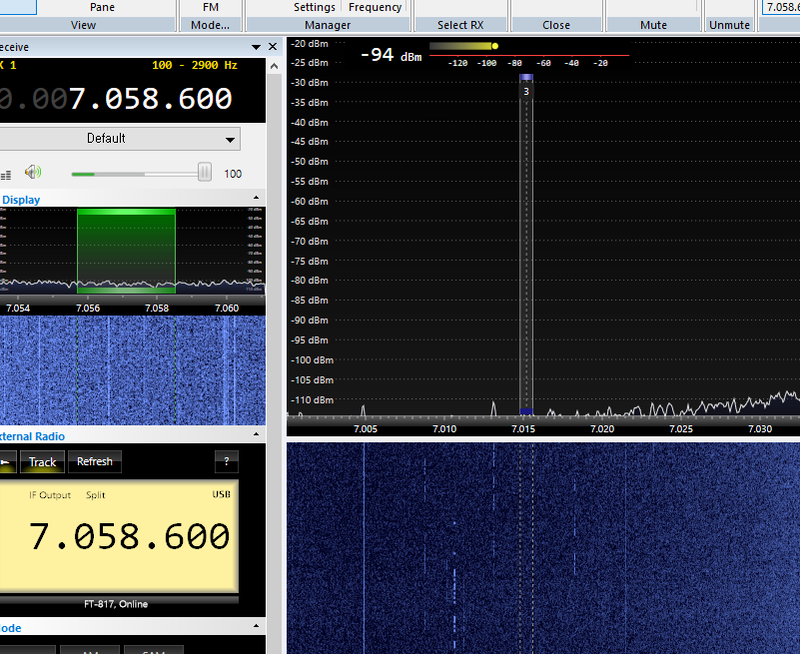 That is, We can read the frequency from SDR even if it does not support Cat and IF. 3.SDR Offset Frequency + Mhz unit. 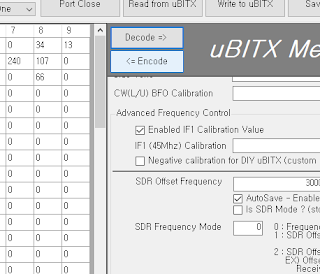 If Offset frequency is 30.000000Mhz and uBITX LCD display 7.074000Mhz, SDR will be received at 30.074000Mhz. If Offset frequency is 30.000000Mhz and uBITX LCD display 14.074000Mhz, SDR will be received at 30.074000Mhz. If Offset frequency is 30.000000Mhz and uBITX LCD display 21.074000Mhz, SDR will be received at 30.074000Mhz. Now select 0 because the example uses SDR-Radio to support CAT communication and IF input. However, I used the Omni-Rig because I wanted to be able to communicate uBITX simultaneously with SDR software and Wsjt-X. 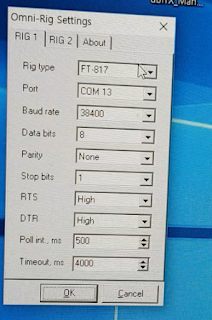 You only need to set Rig Type, Port and Baudrate. Do not press 'OK'. You must leave it alone. 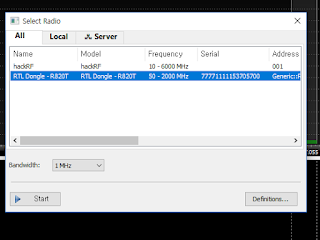 SDR-Console can be downloaded from SDR-Radio. Please refer to the SDR-Radio homepage for details. The reason I chose SDR-Radio is below. This is because it supports IF output. This is a great way to connect your HF device to your computer. But do not worry. With the above options, other SDR software can be used without difficulty. Including Linux. Press the Select button on the View toolbar. Then an External Radio button will be created on the toolbar as shown below. Click the External Radio button. The program will be restarted and the following screen will appear. If Omni-Rig is running, it will automatically be selected as below. Click the Frequency button on the left. Select IF output as shown below and enter 30.000.000. 30.000.000 is the value entered in uBITX Manager. 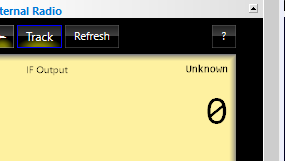 Press OK to close the window and press the 'Track' button. SDR and uBITX are fully connected. The reason I chose SDR-Radio for my first posting on uBITX and SDR connections is that it is easy to apply to most firmware that supports CAT communication as well as my firmware. I used the $ 8 low-cost RTL-SDR. Digital communication as well as general communication is possible. 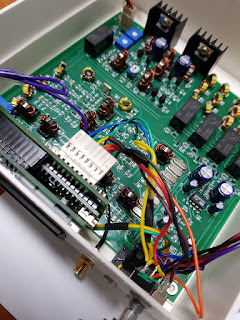 Using the IF to connect to the SDR for computers was limited to most expensive HF radios. 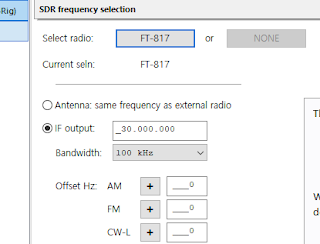 In particular, SDR-Radio can receive multiple frequencies at the same time. Wsjt-X receives FT8 and I can receive CW. 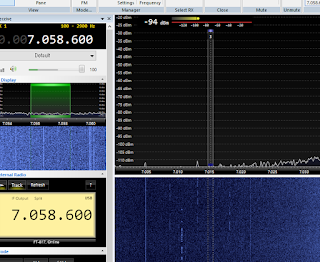 The following post is an application of SDR-Radio. I will post SDR #, Linux, or Raspberry based SDRs in order. 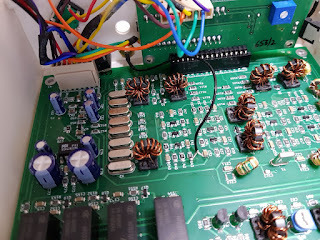 11.Why did I put the SDR connection point there? I looked for a way to connect SDR to uBITX. Most people used the SDR connection point following a 45Mhz filter. 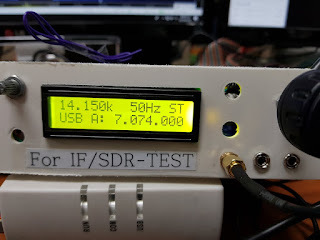 It is a great way and is the only way to connect SDR. The purpose of connecting the SDR was probably to see the spectrum. But the test result was too weak. 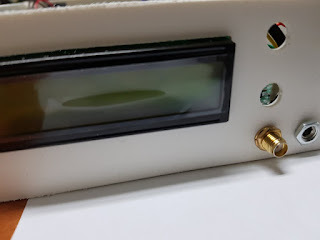 If the purpose of connecting the SDR to the uBITX is to see the spectrum, it could be used, but the SDR could not be used as the main receiver. So I chose the front of the 12Mhz filter, which is amplified once more. But the signal here is around 12Mhz, which is not available with RTL-SDR. I decided to put 12Mhz at a good frequency to connect to the SDR and instead use the speakers instead. Of course, when SDR Mode is off, you will hear the sound from the speaker again. The second reason I chose this place is to make it a little more convenient for most SDRs that do not support IF and Linux-based SDRs. It is to change the frequency connected to the SDR so that the frequency can be easily read in the SDR software. The other candidates were Sound Out, 12Mhz after the filter passed. Deeply taken by surprise Ian. Indeed a very pleasant surprise. Thanks, I will test it on Linux or Raspberry pi in a few days, maybe some people can change uBITX to SDR-HF with Raspberry Pi Zero at low cost. That was my goal this time. Awesome. What is that bulge? C32 and R37 on the schematic are interchanged in the picture. R37 is where C32 is shown on the schematic and vice versa. To use the SDR with the Ubitx, do I need to do this modification to connect the SDR? Yes. 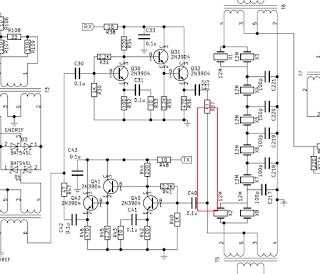 I also confirmed that the schematic was wrong. Connecting to C32 will work well. Which RTL or SDR you connect to the UBITX? I use $ 8, but if you can buy a cheaper one, it can also be used. I am looking for something a little smaller. Ian... I think with just a simple 20dB IF amplifier (high frequency op amp) just for the SDR you could get this to work at the 45MHz level very easily. Let me know if it succeeds !! I wish you a great success. I will follow soon. SDR function a Great add-on !! I have an upconverter (100mhz) and a rtl dongle. 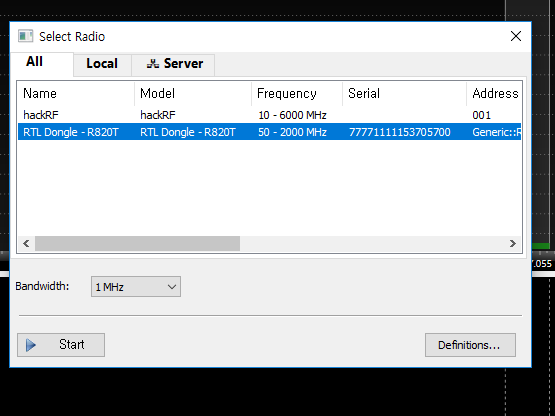 output goes to rtl sdr dongle. 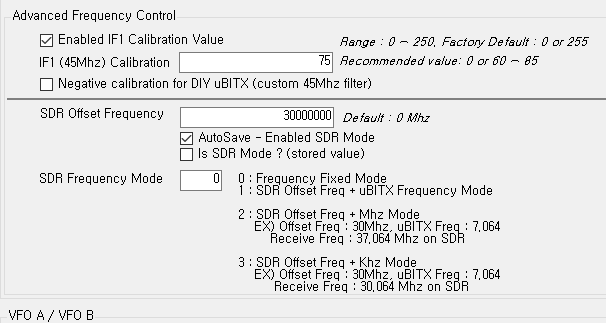 I was wondering what SDR settings i would use: (in ubitx manager)? 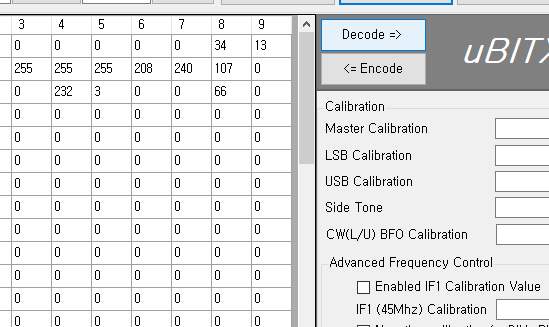 sdr offset freq? 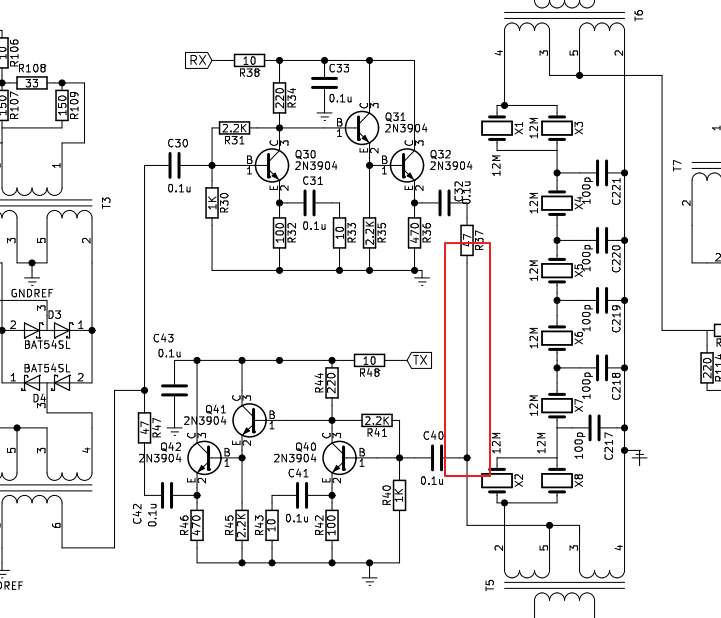 Should I enter 0 or the upconverter freq (100mhz)? 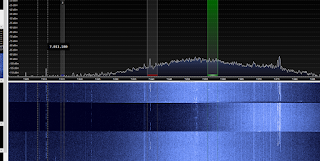 sdr frequency mode? 0 or 1 or 2 or 3? 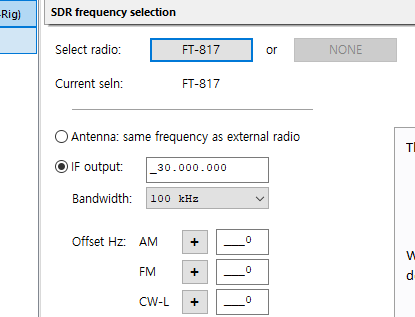 what radio configuration - offset frequency or direct antenna? 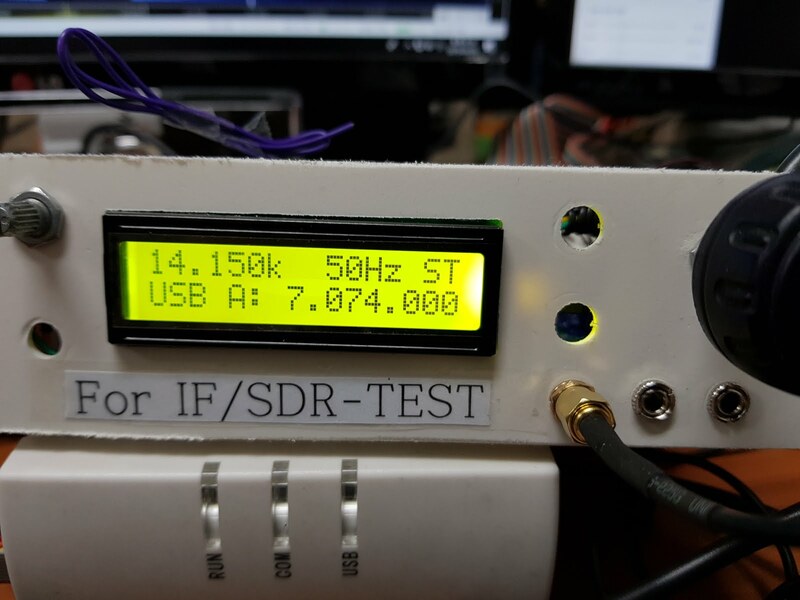 SDR mode and SDR Offset are used to connect SDR to the IF output. 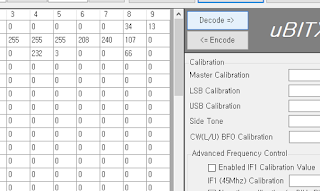 Maybe you do not need SDR mode and SDR Frequency Offset setting. You just set the offset in SDR software to -100Mhz. 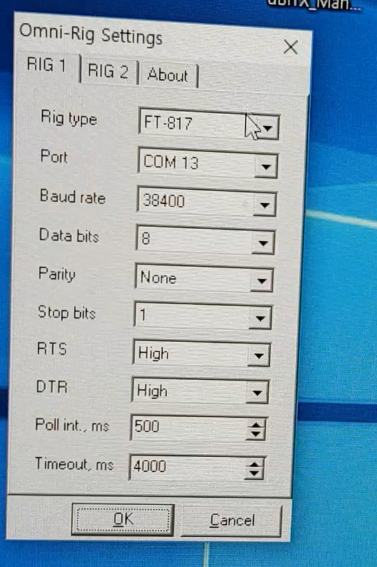 If you are not satisfied with the reception performance, try connecting to IF Output. Hi Ian, I have one of these... https://www.rtl-sdr.com/wp-content/uploads/2018/02/RTL-SDR-Blog-V3-Datasheet.pdf .....and would like your opinion on it's viability to use with the uBitx. I've used it purely as an RX and it seems to work with Linux running CubicSDR very well. If you could elaborate on the specifics of using it, as well as a uBitx manager to use under Linux, it would be greatly appreciated.